Calla Lily is a fabulous Lake front 5 bedroom 3 bathroom pool home in Crescent Lakes in Kissimmee, a fantastic, superbly well kept community that is situated in a natural conservation area yet it is still close to Disney World and all that the area has to offer..
My beautifully furnished home is very spacious and set in an enviable location with fabulous lake views from the pool terrace. It is excellently maintained & regularly updated and our wonderful management company will be available to look after you during your stay. The house has an alarm system and hard wired smoke alarms plus Crescent Lakes has Security Patrols and video surveillance for your added peace of mind and we are also fully licensed in the State of Florida. Calla Lily is extremely popular as guests just love the house and the idyllic surroundings and I have received excellent reviews from my previous guests. The unique setting and the spacious homes on large lots was the reason we decided to buy a home on Crescent Lakes. It’s the ideal environment to spend time relaxing and enjoying your precious vacation time. The exceptional amenities and facilities that I provide combined with my excellent customer service will ensure that your stay at my home will be a really special and memorable experience. "Amazing weekend. This waterfront villa is great we had an amazing weekend the home is nicely decorated and has all the basic everyday needs truly home-away from home at its best and comfortable. The pool deck and water-views are spectacular especially in the morning or late nights. Great home amazing family weekend Thank you Linda"
"Fantastic Family Villa. A truly welcoming clean Family villa. After arriving and having time to have a good look around I must say I was over the moon with everything that I found and what was available to us. Everything you needed for comfort bedding, pillows, towels, and a well equipped kitchen with everything you needed to prepare your meal of any kind. I also found the villa manual very helpful and notes that where located around the villa which where extra reminders. The pool area was also the heart of the villa which had everything that we needed and the comfort of a warm hot tub. The games room was also a good area if you fancied something different than the pool, good and equipped with all of your needs. Also on our arrival the key to enter the villa was nice and simple and lockin"
"Outstanding villa! Our journey to Florida started well over a year ago when finding this villa online. 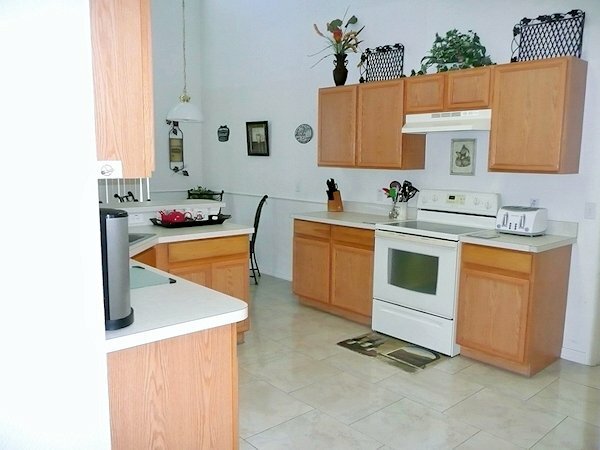 Location is perfectly away from the hustle of the parks and set in the lovely hamlet of Crescent Lakes. A short drive returns you to the parks and countless shops and eateries on the Branson highway. The villa itself comfortably held 9 guests, It is beautifully presented and feels like a home from home with every faculty in place in very spacious rooms throughout. 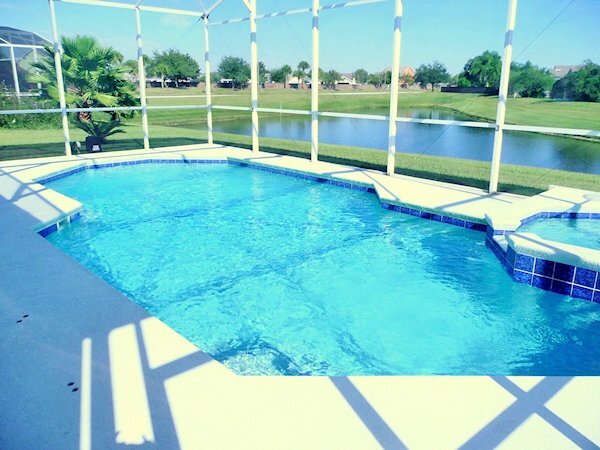 The pool and view are both amazing as has been the assistance from Linda throughout the booking process. So if your looking a villa in this area, don't think twice and book this one up. We will book again!" "Beautiful I wanted to have the best birthday ever & I did while enjoying my family in this awesome home!!! We will definitely choose this home again." 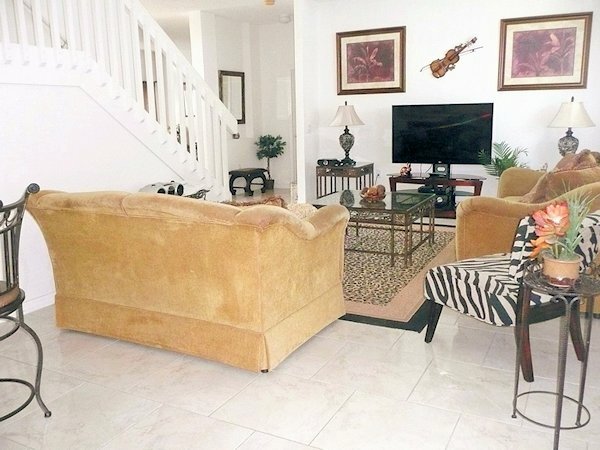 "A Wonderful Villa Truly enjoyed our stay at the beautiful Calla Lily Villa in Kissimmee! 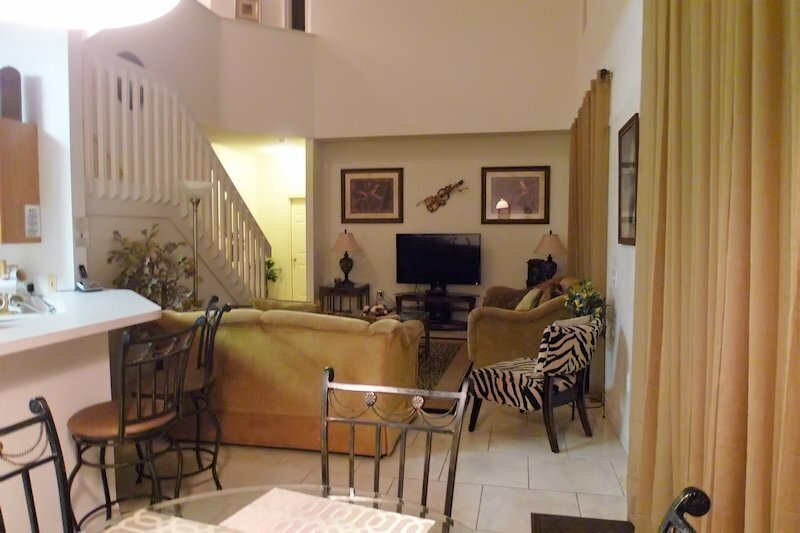 Very comfortable, well-appointed home that was large enough to include our extended family. Beautiful, heated pool and spa with covered comfy outdoor furniture. Safe neighborhood with plenty of walking/jogging routes throughout the community. A very easy rental booking process with an extremely helpful and attentive owner who wants you to enjoy her home. We would love to return to this rental!!" "Amazing stay at such a beautiful villa! Excellent villa location overlooking a lake, lots of wildlife. Villa has everything you`d need very comfortable and clean and well decorated. Outside pool/spa area was fantastic with plenty of sunbeds and seats. Close enough to the parks. Spent a fantastic 3 weeks there with family would definitely recommend and would book again." "Gorgeous Vacation Home Worth Renting! 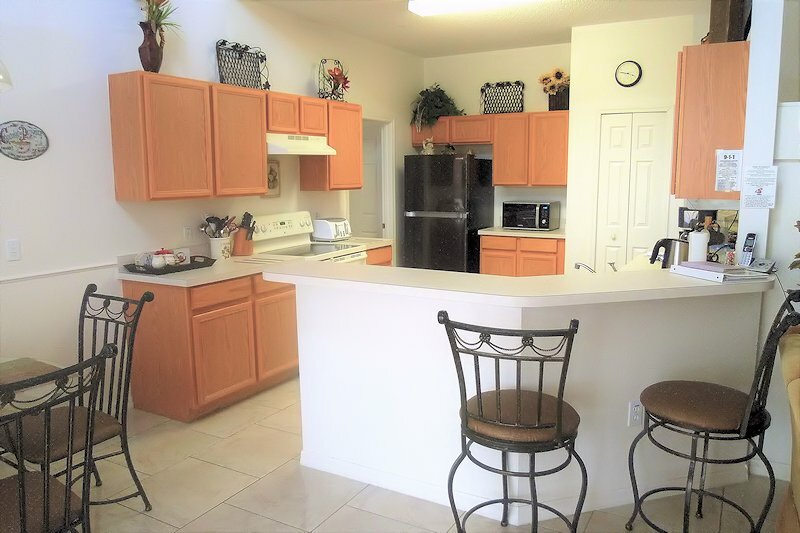 Great location close to Disney and other local attractions. Detailed instructions inside home to guide. However, Linda was just a phone call/email away in case we needed anything. Trust Linda`s tips, you will save a lot of time. We will be returning next year and hoping to rent home on the next trip." "Five Star Villa, in an unbeatable location! If you want to stay in a villa that has got everything, then this is it. The villa is spacious and not overlooked and in a very quiet location with lots of space and a beautiful outlook over the lake. The pool deck has plenty of space and sun beds with a good sized pool and spa. Inside, the villa is fully equipped with everything that you could possibly want, there is plenty of space with all the furnishings of good quality, the bedrooms are very comfortable and each have televisions and WiFi with free telephone calls.......continued below.........."
"continued from above........ There is a well equipped games room and three lounge areas to relax in if you decide to spend an evening at home. 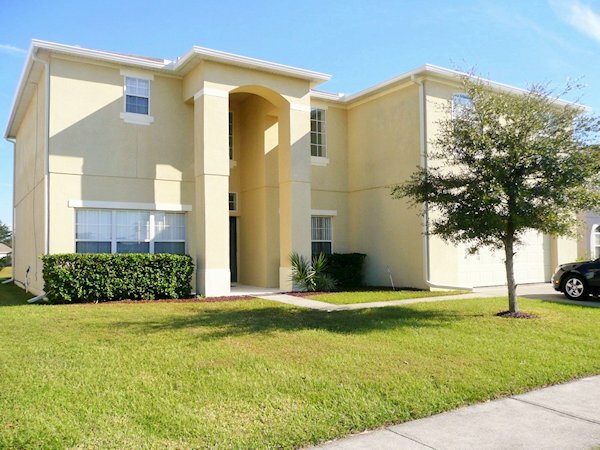 The villa is in an area called Crescent Lakes which has plenty of open space and play areas, it is easy to get around the state and the parks are only 15 to 20 mins away. We will definitely be returning and the sooner the better." 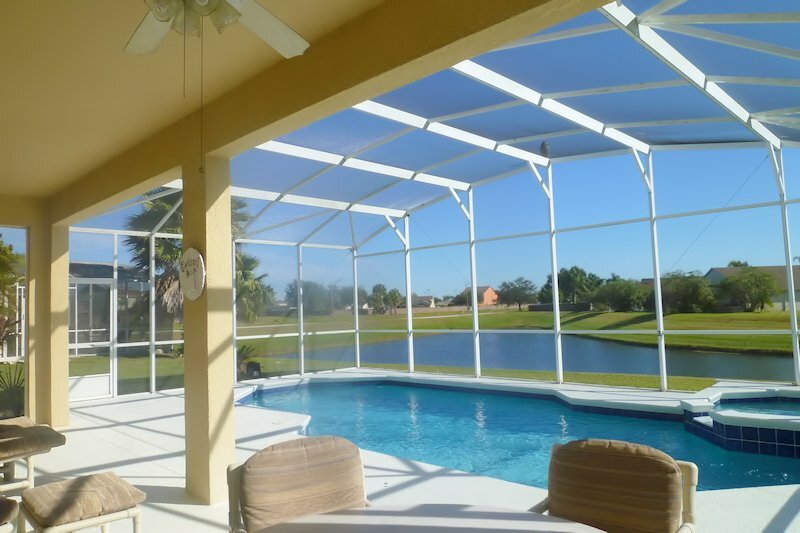 "Lovely Home from Home Thank you Linda for letting us stay in your villa in Kissimmee, it was everything you said it was. You made the whole experience so easy from the first Email to the last and well documented Instructions covering everything from directions to the all the things we needed to know concerning your villa. The villa was spotlessly clean from top to bottom, with a lovely clean pool deck, and sparkling clean water both in the pool and spa. A big thank you for allowing us to stay longer on the day of departure due to a late flight. We would have no hesitation in recommending and booking you home in the future. Kind Regards Glenn, Steph, Carol, Mark." "Hi Linda, Just wanted to say a big thank you for allowing us to use your villa again this year. We had such a great holiday. Everything was perfect in the villa as usual. We really felt right at home. I`m already starting to save for our next trip back lol. Thank you so much again and hopefully I`ll be in touch with you again soon :-) Irene"
"Hi Linda, I`m so sorry I never got a chance to Thank you for letting us stay in your beautiful house O my god it was out of this world. We had a fantastic time and the house was big enough for everyone. I hope we left the house ok. One glass broke but that came out of the dishwasher like that. We hope to go back again next year. My son is getting married and wants us all to go back with him on his honeymoon and would love the same house. Hope you had a great Christmas and Happy New Year to you and your family. 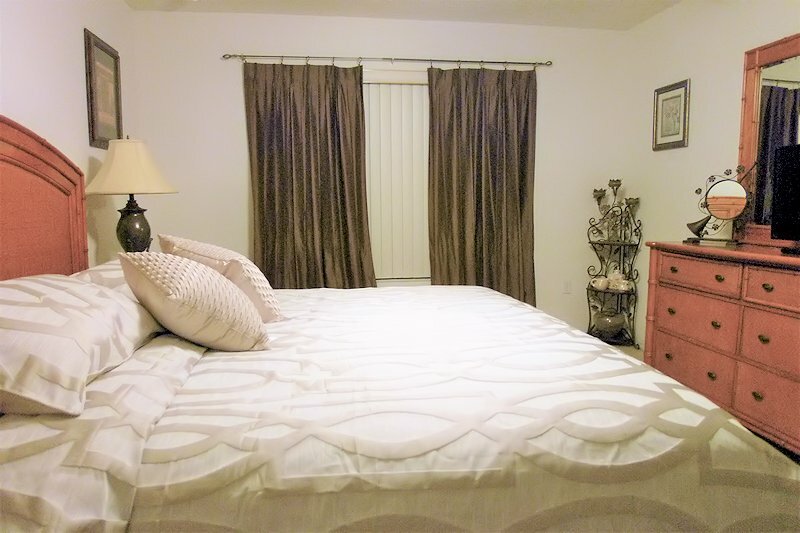 Caroline"
The rates include all Sales & Tourist Taxes, the Final End of Stay Clean, Gas BBQ Grill, Complimentary National & International Calls, Hi-Speed Wireless Internet. An Optional Accidental Limited Damage Waiver £50 per booking is payable instead of a refundable Security Deposit. Gas Pool & Spa heating would be an additional GBP 95 per week if required. I would require a 30% deposit to secure a reservation with the final amount due 2 months before the arrival date. Payments can be made by bank transfer or Paypal. 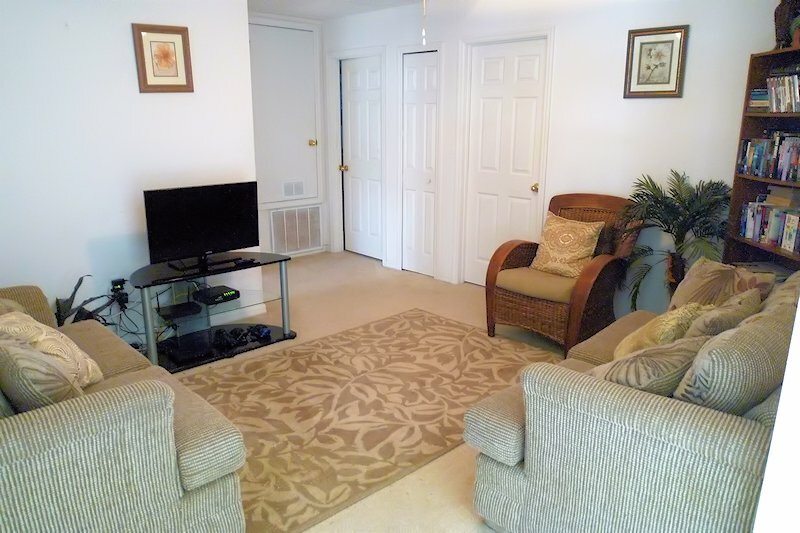 The Family Room is beautifully furnished and comfortable and has a 55” HDTV with Netflix subscription and a multi-region DVD with a great selection of movies. For your enjoyment we have a Games Room with 8ft Pool table etc; Wireless Hi-Speed Internet, PS2 games console with games, selection of books and board games, CD player with CDs and the kitchen has an under counter CD player and complimentary baby equipment is also provided. There is air conditioning throughout which can be adjusted to your own requirements plus ceiling fans are fitted in all bedrooms and living areas for your further comfort. 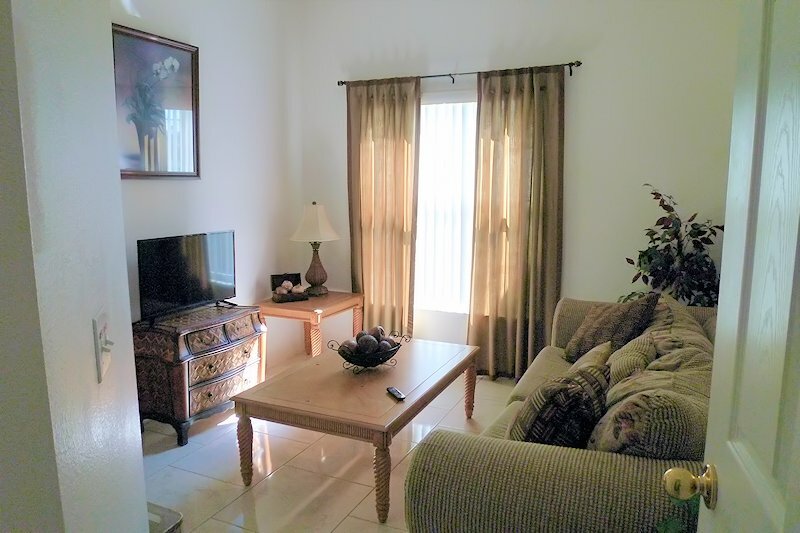 Calla Lily is a very open & spacious house. 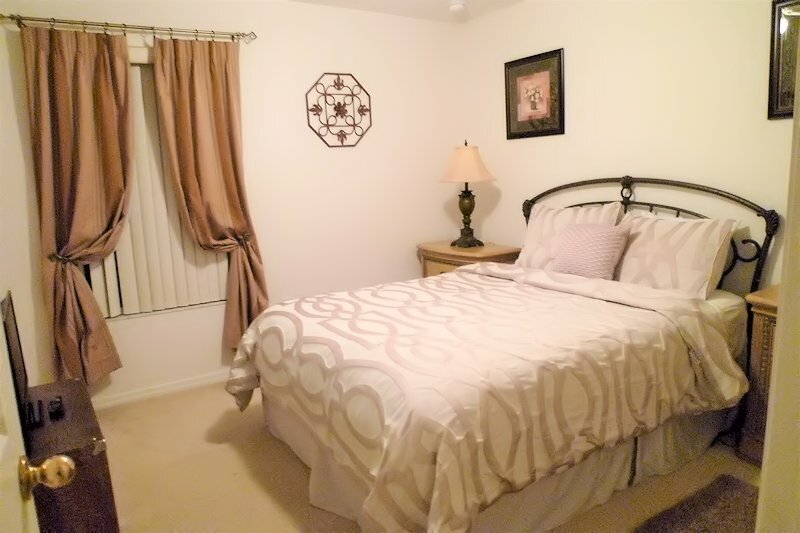 All bedrooms have Flat Screen TVs, Ceiling Fans, Roomy Closets and clock radios.. 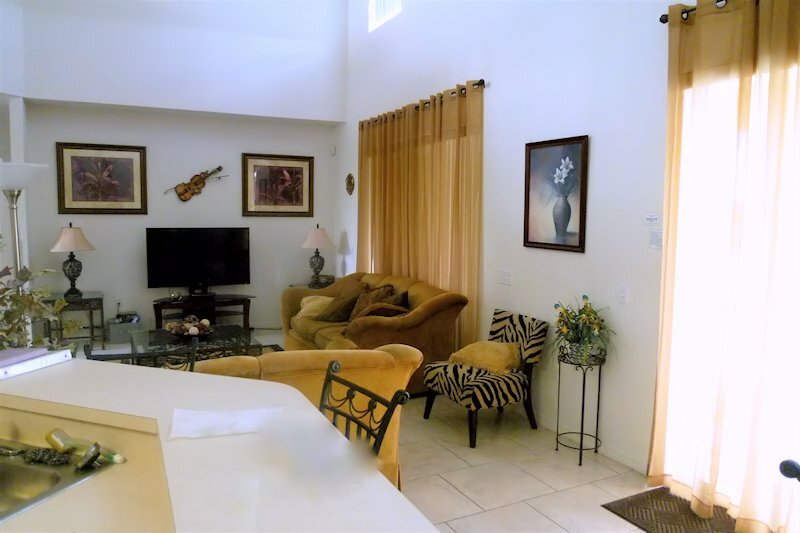 The private pool terrace is on a wonderful Lake Front setting with a Large Pool, Spa, Lanai, plenty of luxury cushioned recliners and patio dining furniture plus a Gas BBQ Grill. The pool is totally screened and the whole area is very peaceful and lovely for relaxing and having fun plus there is an abundance of birds and other wildlife for you to watch as Cresent Lakes is built close to a natural conservation area. There are nearby community facilities which include a children's playground, BBQ area, Basket ball courts, Soccer pitch and softball diamonds plus tennis courts and you can even partake in some nature walks. 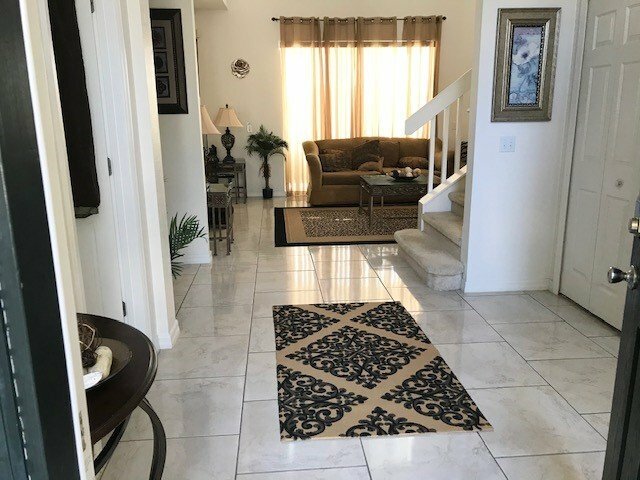 Crescent Lakes is an excellently maintained community that is very quiet and peaceful plus they also provide security patrols for your added peace of mind.